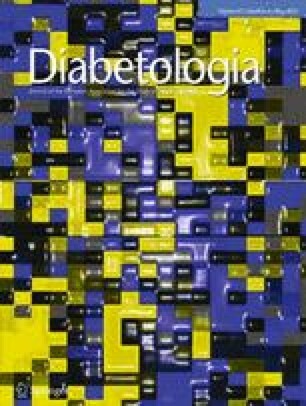 We validated the metabolic syndrome (MetS) score by confirmatory factor analysis (CFA) in children, middle-aged men, and older women and men and by investigating the relationships of the MetS score to incident type 2 diabetes, myocardial infarction, and cardiovascular and overall death in middle-aged men. We assessed the core features of MetS, calculated the MetS score using z scores for waist circumference, insulin, glucose, triacylglycerols, HDL-cholesterol and blood pressure, and carried out CFA to investigate whether MetS represents a single entity in population samples of 491 children, 1,900 middle-aged men, 614 older women and 555 older men from Finland. We also followed-up incident type 2 diabetes for 11 years and other outcomes for 17–18 years in middle-aged men. We carried out second-order CFAs in which the MetS was represented by a second-order latent variable underlying four latent variables characterised by abdominal obesity, insulin resistance, dyslipidaemia and raised blood pressure in different age groups. These second-order factors and factors derived from first-order CFA using previously proposed models were strongly associated with a composite MetS score in all age groups (r = 0.84–0.94) and similarly predicted type 2 diabetes, cardiovascular outcomes and mortality in middle-aged men. The risk of type 2 diabetes, myocardial infarction, cardiovascular death and overall death increased 3.67-, 1.38-, 1.56- and 1.44-fold, respectively, for a 1 SD increase in the MetS score. The MetS can be described as a single entity in all age groups. The MetS score is a valid tool for research evaluating cardiometabolic risk in different age groups. Further research is needed to define cut-off points for risk estimation in clinical practice. The online version of this article (doi: 10.1007/s00125-014-3172-5) contains peer-reviewed but unedited supplementary material, which is available to authorised users. We thank the personnel of the PANIC Study, The KIHD Study and the DR’s EXTRA Study for performing these population-based studies. The PANIC Study was financially supported by the Ministry of Social Affairs and Health of Finland 1491/9.02.00/2009, the Ministry of Education and Culture of Finland 121/627/2009, the Finnish Innovation Fund Sitra, the Social Insurance Institution of Finland 22/26/2008, the Finnish Cultural Foundation, the Juho Vainio Foundation, the Foundation for Pediatric Research, and the Kuopio University Hospital EVO 5031343. The KIHD Study was supported by grants 41471, 1041086 and 2041022 from the Academy of Finland, 167/722/96, 157/722/97 and 156/722/98 from the Ministry of Education of Finland, HL44199 from the National Heart, Lung, and Blood Institute of the USA, and the City of Kuopio. The DR’s EXTRA Study was supported by grants from the Ministry of Education and Culture of Finland (722 and 627), 2004–2010, the Academy of Finland (102318, 104943, 123885 and 211119), the Social Insurance Institution of Finland (4/26/2010), the European Commission FP6 Integrated Project LSHM-CT-2004-005272, the Päivikki and Sakari Sohlberg Foundation, the Finnish Diabetes Association, the Finnish Foundation for Cardiovascular Research, the City of Kuopio, and the Kuopio University Hospital. AV and DEL analysed the data. AV, DEL and TAL wrote the manuscript. All authors contributed to data collection, reviewed the manuscript and approved the final version. TAL is the guarantor of the work and takes responsibility for the contents of this article.